Gabriel Bejjani, pastor at Riverside Seventh Day Baptist Church, CA and his wife Hayat headed to Lebanon October 25th on a short-term missions trip. They should return November 12th and are asking prayer for the success of the mission and their safety. The situation in the countries of the Middle East is getting worse. More innocent refugees are risking their lives to escape the violence. In Lebanon alone, we have over 1 million refugees from Iraq and Syria. Two years ago with your support in prayer and financially, I was able to visit Lebanon and assist in two refugee camps. The Lord through the small group of believers that continue to meet in homes is calling me to go back and help more at this time. 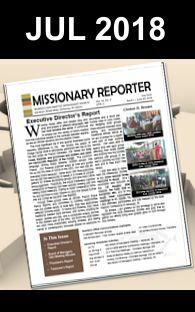 The purpose of the mission will be as follows: to bring more needed monetary help to some families; evaluate and plan for the expansion of the English school that is held in one of our teacher’s home in northern Lebanon; to print 5000 copies in Arabic of our pamphlet about Seventh Day Baptists. The 3000 copies that were printed two years ago are all gone. My wife Hayat will be able to go with me this time and I am thankful for that opportunity. She will be a great blessing in reaching to the families of orphans and mothers who lost their husbands. Please pray for this tremendous and timely ministry to show God’s love to a few people and make a difference in their lives.